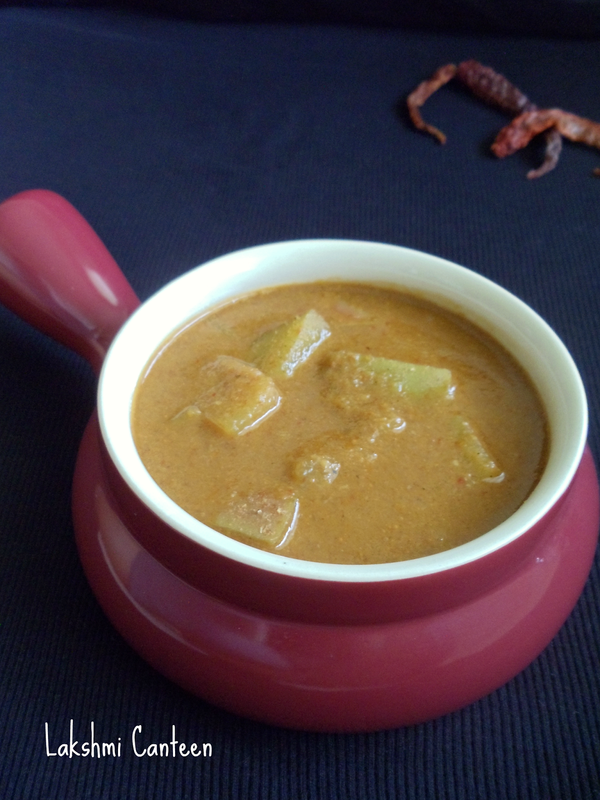 Maavinkaayi Menskai is a popular coconut based curry of Udupi (in Karnataka, India). This curry is little bit on the sweeter side. During non summer days they substitute raw mango with pineapple. I wrote down this recipe long time back (during my high school days) from a magazine named 'Taranga'. I wrote a bunch of recipes and this is one of them. My mother used to make them whenever I requested her. Now even I make all of them, whenever I crave for it. Do try this recipe and let me know how you liked it! 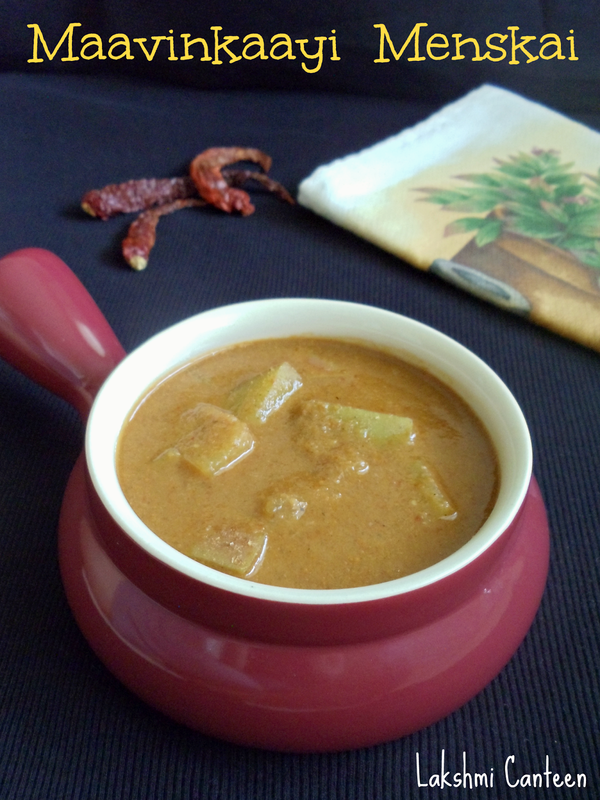 You can try other Udupi Special - Bele Saaru, Boodh Kumblakaayi Huli. 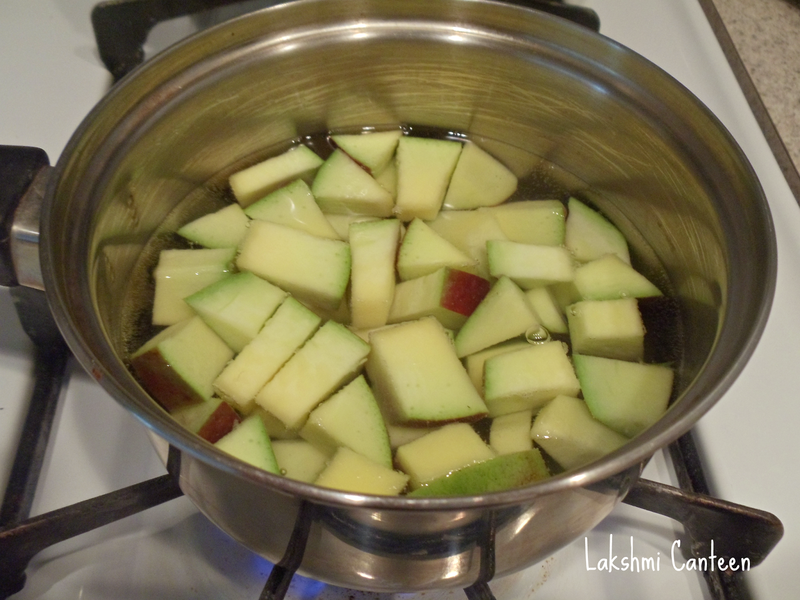 Then transfer them into a pan along with water and little salt. Allow them to cook on a medium flame. 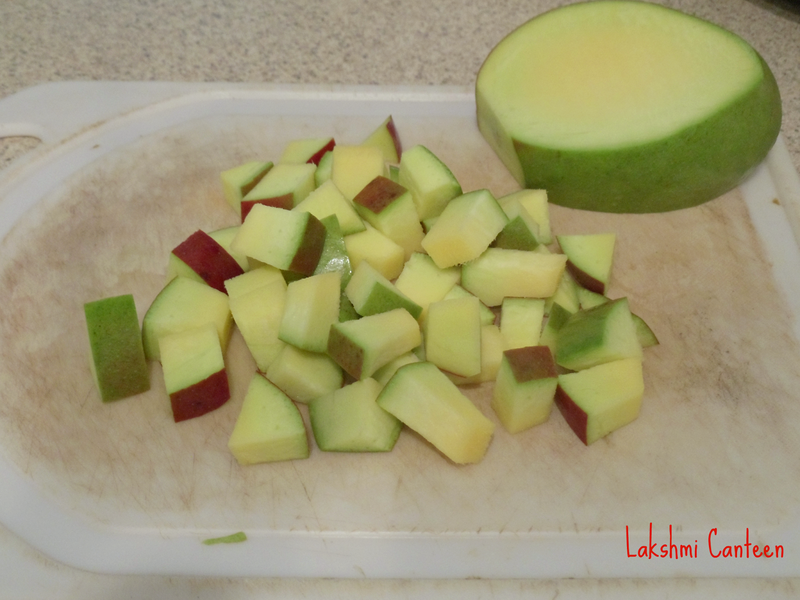 While the mango is cooking, prepare the masala. 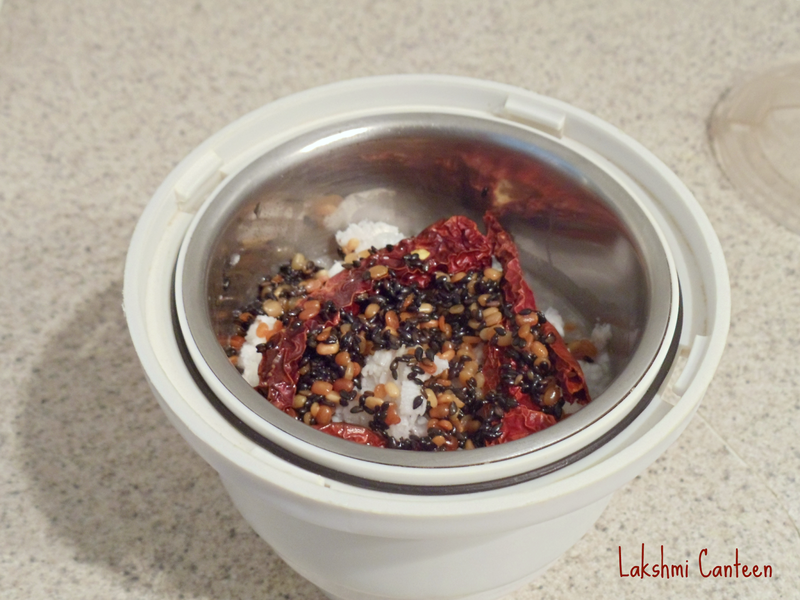 For masala, fry dry red chilli, urad dal and black sesame seeds separately, in few drops of oil until fragrant. Then allow them to cool. Now take grated coconut along with the roasted spices in a blender. 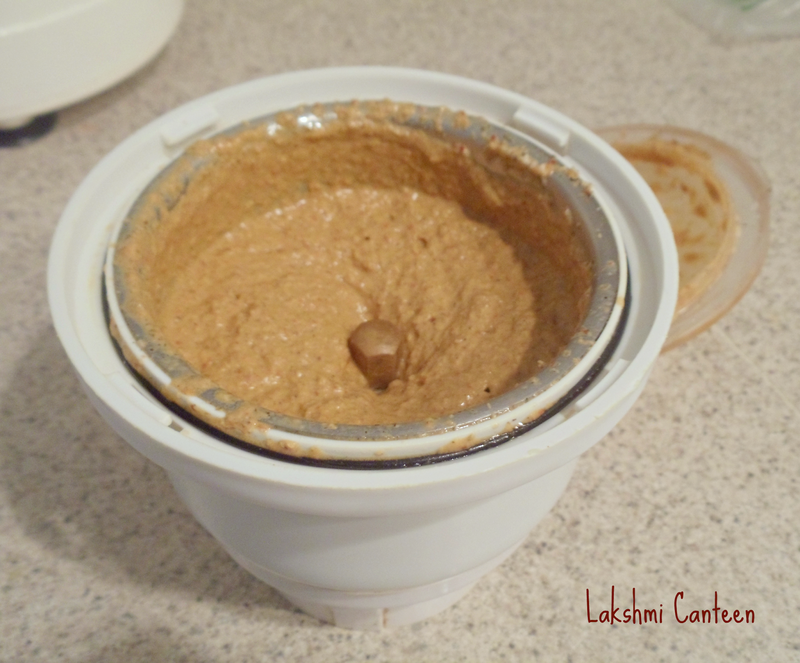 Grind it along with little water to get a fine paste. Masala is ready. 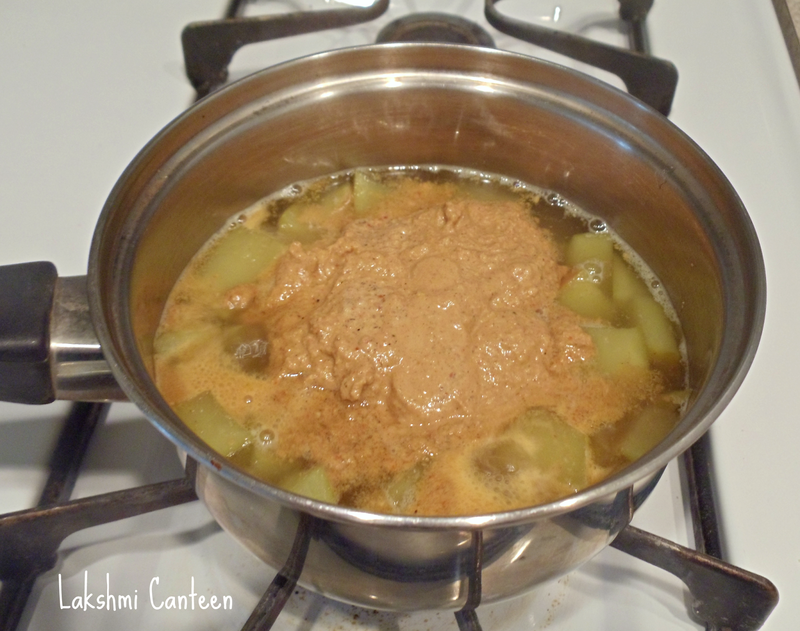 Once the mango cooks, add jaggery.Cook it for a minute or two. 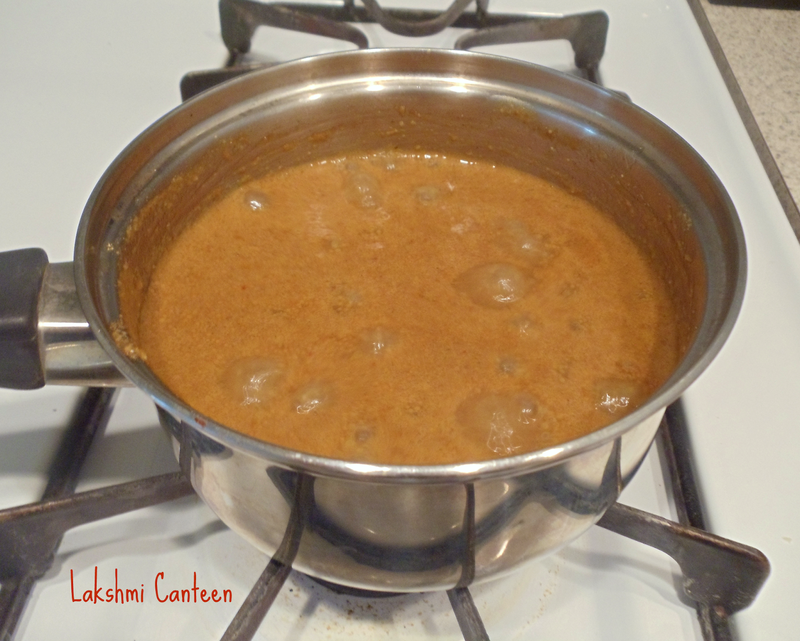 Then add the masala paste. Mix well and bring it to a boil. 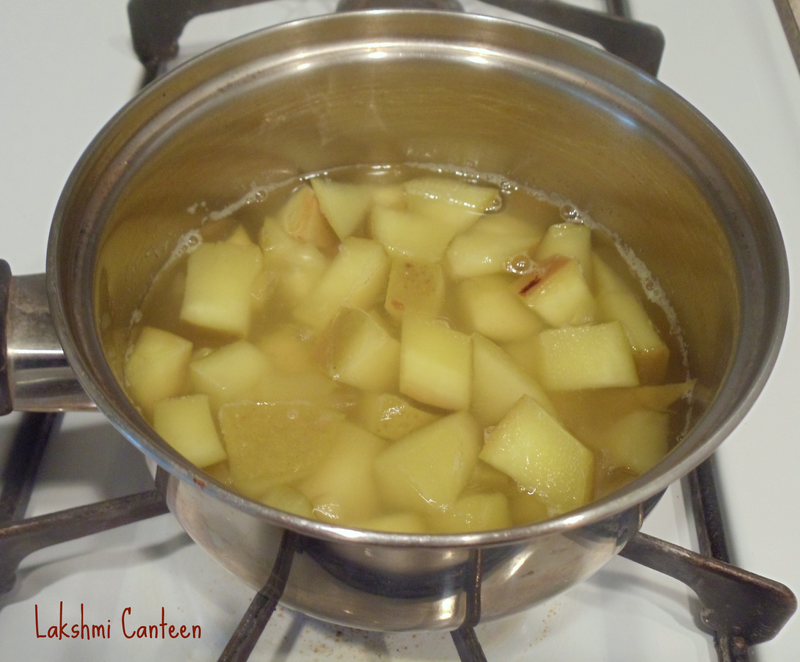 Once it comes to a boil, continue heating for 3-4 minutes on medium-low heat. Once done turn off the heat and drizzle coconut oil. Mix well. 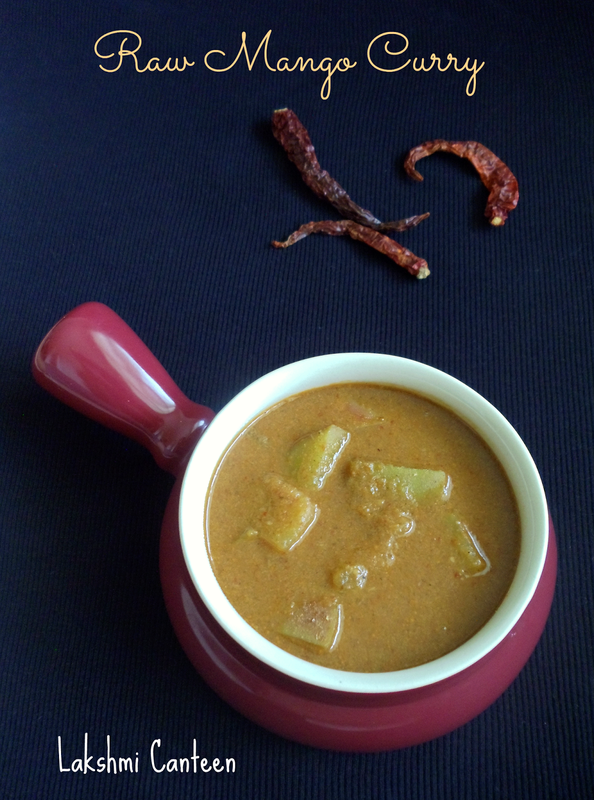 Serve it warm as a side dish to rice along with a spicy curry. Above measurement serves three people.